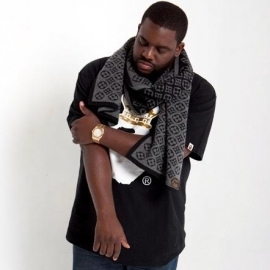 Warryn "Baby Dubb" Campbell is a music visionary, executive and leading producer of R&B, gospel and hip-hop music. Campbell's mastery to create chart-topping hits across a multitude of genres has made him critically acclaimed as one of the most prolific record producers of our time. Campbell's Grammy award-winning body of work includes projects with global icons from Mary Mary, Kanye West, Yolanda Adams to Jennifer Hudson. He has also scaled the music charts with world-class artists that include Alicia Keys, Xzibit, Mos Def, Missy Elliott, Brandy, Mario, Luther Vandross and Snoop Dogg. With a natural ear and profound passion for musicianship and composition, Campbell became a virtuoso on the drums, bass, guitar and keys by the age of 15. He joined the gospel group, New Vision, and by 16, discovered his calling in music production after an encounter with the legendary DJ Quik, who served as an early mentor during his time at Death Row Records. Among his numerous creative pursuits, Campbell also plays bass guitar in the gospel group The Soul Seekers. Prior to starting My Block, his business repertoire includes serving as vice president of A&R for Elektra Records. Mary Mary, Jennifer Hudson, Kanye West, Alicia Keys, Xzibit, Yolanda Adams, Mos Def, Missy Elliott, Kierra Sheard, Brandy, Dave Hollister, Men of Standard, Mario, Shanice, Dru Hill, Musiq Soulchild, and more.